Velvet is a pile fabric in which an extra warp (lengthwise) yarn creates a raised uncut loop or cut tuft on the fabric surface. Velvet is first encountered in low, uncut pile examples in Chinese silk qirong jin or rongquan jin that date to Warring States (403-221 B.C.E. ), Qin (221-206 B.C.E. ), and Western Han (206 B.C.E.-23 C.E.) dynasties. More consistent with velvet's allure of tactile seductiveness are the resplendent, late-medieval cut-pile velvets of Italy and Spain made possible by the rapid development of draw loom technology supported by discerning patrons. Parallel achievements were seen in Ottoman Turkey, Persia, and later in Mughal India. The prodigious repeat sizes and lavish use of precious materials-fine and dense silk, and, for the most sumptuous versions, added gilt-silver wefts (yarn running crosswise) worked flat or in loops-are pervasive in fifteenth-century European depictions portraying sacred and secular elites dressed in vestments, gowns, and mantles of giant, serpentine pomegranate and artichoke designs. The velvets of Bursa and Istanbul made for fifteenth-century caftans, cushions, and tent panels for the sultans display similar splendor. In Persia, by contrast, where cut velvet seems to have originated, the long reign of the Safavid dynasty favored narrative designs of hunt scenes and literary genre figures, the rich coloristic effects made possible by intricate pile-warp substitutions. The European capital-intensive velvet industry was closely allied with merchant banks and the courts, and flourished first in Italy (Florence, Genoa, Venice, and Milan), then elsewhere, particularly in France (Tours, and above all Lyon). Closely controlled velvet qualities developed, and were assigned dozens of specialized French terms to distinguish the types-some are still current. They ranged from plain velvets, sometimes given added value by stamped designs and other finishes, to patterned ones by varying pile heights and introducing two or more pile warp colors. In the early modern period, wealthy patrons continued commissioning large-scale custom designs for special occasion outfits, while stock styles of smaller repeat patterns were used in standard dress velvets. A number of them were woven for Western customers in China, where interest in the structure had reawakened, and spread to Japan. Great numbers of these small-scale designs survive in art and textile fragments and show floral sprig, bird, and animal motifs subordinated into lattice-type patterns. 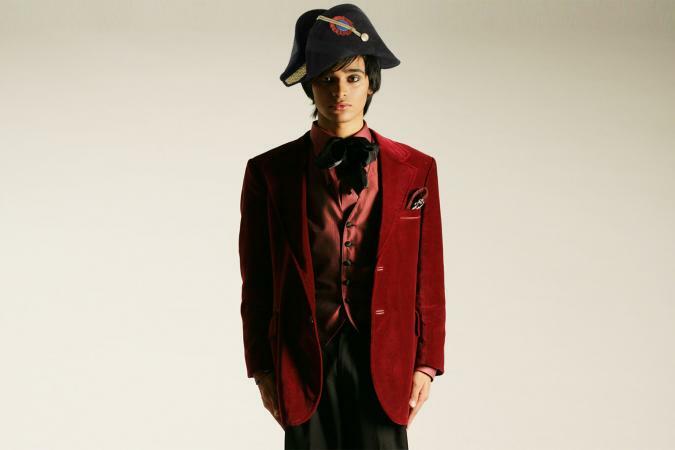 From the middle of the eighteenth century and into the next, silk velvet appeared in men's apparel (especially waistcoats) and luxury carriage interiors, but women's fashion abandoned stately velvet in favor of lighter fabrics. Through the nineteenth century, Lyon in particular, produced elaborate, fine velvets woven by hand on Jacquard looms, designed to win prizes at world fairs, and promoted in fashions of the emerging Parisian couture houses. Plain, patterned, and printed silk velvets and the longer-piled relation, plush, were featured in glamorous opera coats during the early twentieth century. 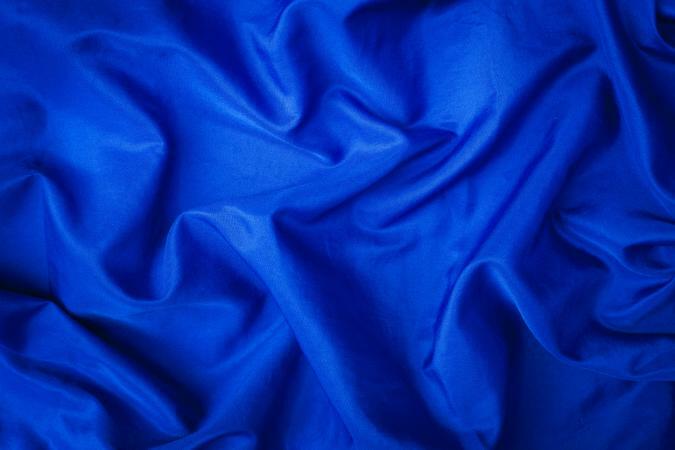 Cotton and rayon frequently substituted for scarce and expensive silk, and most plain velvets are now woven double on power looms, creating two fabrics sharing a pile warp, subsequently separated by horizontal cutting blades. In the late twentieth century, China exported quantities of inexpensive silk velvets, and innovative textile designers eagerly applied new looks with earlier methods, such as burn-out and resist dyeing for fashion accessories. See also China: History of Dress. Becker, John. Pattern and Loom: A Practical Study of the Development of Weaving Techniques in China, Western Asia and Europe. Copenhagen: Rhodos International Publishers, 1987. Meticulous descriptions of early textile structures and their possible loom technologies. Burnham, Harold B. Chinese Velvets: A Technical Study. Occasional Papers 2. Art and Archeological Division, Royal Ontario Museum. Toronto: University of Toronto Press, 1959. An in-depth analysis of seventeenth-century velvets of East Asia. Fauque, Claude, ed. Le Velours ou la force de la douceur. Paris: Syros, 1994. A cross-disciplinary survey touching on history, technology, ideologies and design that includes, in the French understanding of the term velours, weft-pile structures as well. Geijer, Agnes. A History of Textile Art: A Selective Account. London: Pasold Research Fund, 1979. The indispensable reference for historic textiles, their trade, cultural exchanges, and context. Hardoiun-Fugier, Elisabet, Bernard Berthod, and Martine Chevent-Fusaro, eds. Les ƒtoffes: Dictionnaire historique. Paris: Les editions de l'Amateur, 1994. Richly illustrated reference work, with comprehensive listings of velvet terms. History of Textile Technology of Ancient China. New York: Science Press, 1992. Fundamental text on Chinese textiles and their materials although technical terms are at times at variance with Western accepted standards. Janssen, Elsje. Richesse de Velours Brussels: Musee du Cinquantenaire, 1995. An exhibition catalog covering early examples to contemporary Belgian velvets. King, Monique and Donald King. European textiles in the Keir Collection 400 B.C. to 1800 A.D. London and Boston: Faber and Faber, 1990. A catalog establishing important developments in design and interactions between cultures. Mackie, Louise. The Splendor of Turkish Weaving: An Exhibition of Silks and Carpets of the 13 Centuries. Washington, D.C.: The Textile Museum, 1973. A fine hand list of the TMO's Turkish velvets. Santangelo, Antonino. A Treasury of Great Italian Textiles. New York: Harry N. Abrams, 1964. A still useful standard in the literature on textiles. Sonday, Milton. "Pattern and Weaves: Safavid Lampas and Velvet." In Woven from the Soul, Spun from the Heart: Textile Arts of Safavid and Qajar Iran 16th-19th Centuries. Edited by Carol Bier. Washington, D.C.: The Textile Museum, 1987. Detailed structural study and diagrams of Persian velvets. Stack, Lotus. 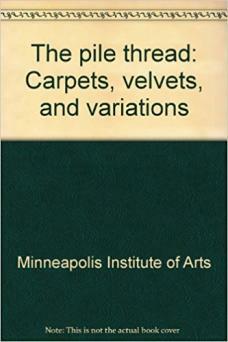 The Pile Thread: Carpets, Velvets, and Variations. Minneapolis: The Minneapolis Institute of Art, 1991. A succinct and comprehensive guide, with good illustrations of the technology, design, and context of velvet.